Below you fill find all funeral homes and cemeteries in or near Monongahela. Their current mayor is Mayor Bob Kepics. Zip codes in the city: 15063. Some of the notable people born here have been: Brandi Williams (actor), Devin Goda (american football player), and Michael L. Colosimo (actor). Monongahela, colloquially "Mon City", is a City in Washington County, Pennsylvania, United States (ZIP code 15063) and is part of the Pittsburgh, PA Metropolitan Statistical Area, located approximately 17 miles (27 km) south of the city proper. The population was 4,300 at the 2010 census.One of only two cities in Washington County, and the second smallest city in Pennsylvania (after Parker, Pennsylvania), Monongahela sits at the intersection of Pennsylvania state routes 136, 88, and 837, all of which constitute the city's Main Street. The City is served by Ringgold School District. It was disclosed by Register Herald on December 29th, 2018 that LuAnn Sparks (Colucci) died in Pineville, West Virginia. Ms. Sparks was 62 years old and was born in Monongahela, PA. Send flowers to express your sorrow and honor LuAnn's life. It was written on June 24th, 2018 that Marilyn Joan Morris (Wickerman) passed away in Brooksville, Florida. Ms. Morris was 84 years old and was born in Monongahela, PA. Send flowers to share your condolences and honor Marilyn Joan's life. It was revealed on June 16th, 2018 that John Richard Johnston died in Crittenden, Kentucky. Johnston was 59 years old and was born in Monongahela, PA. Send flowers to share your condolences and honor John Richard's life. It was revealed by Orange County Register on December 31st, 2016 that Edward John "Ed" Venani died in Yorba Linda, California. Venani was 82 years old and was born in Monongahela, PA. Send flowers to express your sorrow and honor Edward John "Ed"'s life. It was written by Ocala Star Banner on October 10th, 2015 that Eugene Victor Layerd perished in Florida. Layerd was 94 years old and was born in Monongahela, PA. Send flowers to share your condolences and honor Eugene Victor's life. It was disclosed by Johnstown Tribune-Democrat on September 3rd, 2015 that Eleanor Holtz (Owens) perished in Monongahela, Pennsylvania. Ms. Holtz was 79 years old. Send flowers to express your sorrow and honor Eleanor's life. It was reported by San Diego Union-Tribune on July 21st, 2015 that Michael Jr "Micky" Dorazio passed away in Rancho Santa Fe, California. Dorazio was 72 years old and was born in Monongahela, PA. Send flowers to express your sympathy and honor Michael Jr "Micky"'s life. It was reported by The Mail Tribune on April 10th, 2015 that Paul Inserra died in Oregon. Inserra was 91 years old and was born in Monongahela, PA. Send flowers to share your condolences and honor Paul's life. It was reported by Clarksburg Exponent Telegram on February 18th, 2015 that Marilyn Cox (Burgoyne) died in Bridgeport, West Virginia. Ms. Cox was 78 years old and was born in Monongahela, PA. Send flowers to share your condolences and honor Marilyn's life. It was disclosed by Tampa Tribune on July 27th, 2014 that F Lane MD France passed away in Tampa, Florida. Send flowers to express your sorrow and honor F Lane MD's life. The population was 4,761 at the 2000 census. In 1940, the population of Monongahela was 9,823, in 1950, 10,387, in 1960, 12,948, in 1970, 11,726, in 1980, 8,590, and in 1990. Monongahela is a city in Washington County, Pennsylvania County, Pennsylvania, United States (zip Code 15063) and is part of the Pittsburgh Metro Area. . .
Mort was born in Monongahela, PA, March 1, 1919. He served in WWII as a first lieutenant ... Visitation will be held Thursday from 4 to6 p.m. at the NOLL FUNERAL HOME INC., 333 Third St., Beaver. The funeral will be private. No flowers, please. Listing all funeral homes in Monongahela, Pennsylvania so you can easily send flowers to any location (same day delivery) or find any funeral service. 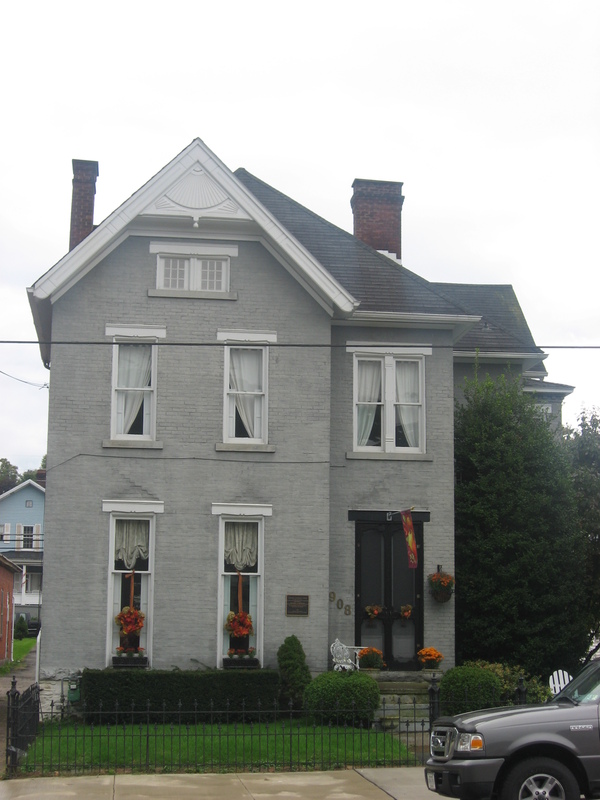 Frye Funeral Home, Incorporated, Monongahela, PA : Reviews and maps - Yahoo! Local, 724.258.6136. Get Ratings, Reviews, Photos and more on Yahoo! Local. We work with local florists and flower shops to offer same day delivery. You will find budget sympathy flowers in Monongahela here. Our funeral flowers are cheap in price but not in value.